Along with announcement of Google’s new Parent Company called ‘Alphabet‘, India born Sundar Pichai named as the new CEO of the tech giant Google. 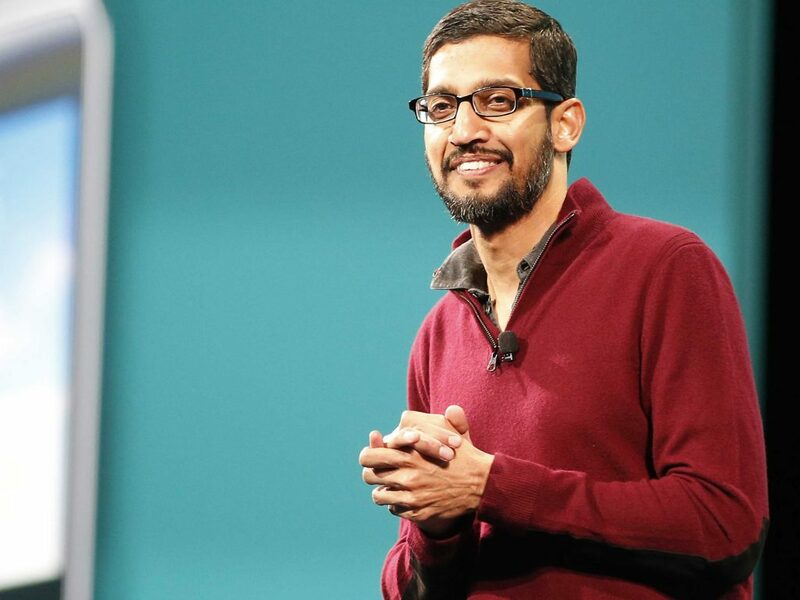 The senior Vice President of Google Chrome, Google Apps and Android, Sundar Pichai (43) joined Google in 2004 and took their products to the whole new level. Getting the CEO position was his well deserved opportunity. Sundar has been saying the things I would have said (and sometimes better!) for quite some time now, and I’ve been tremendously enjoying our work together. He has really stepped up since October of last year, when he took on product and engineering responsibility for our Internet businesses. Sergey and I have been super excited about his progress and dedication to the company. And it is clear to us and our board that it is time for Sundar to be CEO of Google. I feel very fortunate to have someone as talented as he is to run the slightly slimmed down Google and this frees up time for me to continue to scale our aspirations. Sundar Pichai is the 3rd CEO of the company after Schmidt and co-founder Larry Page who was serving Google as CEO so far but now if turned to be CEO of newly firmed company Alphabet. After joining Google in 2004 working on Google Toolbar, Sundar Pichai became vice president after with the launch of Chrome Browser in 2008 followed by Senior Vice President in 2013 and now the CEO. The Man who is “universally well-liked at Google” deserved the best to be CEO. Also he is the second Indian man after Microsoft CEO Satya Nadella to lead world’s top most Company.